A couple of years ago I treated myself to a meal at the two Michelin-starred Hibiscus (now closed) in London. 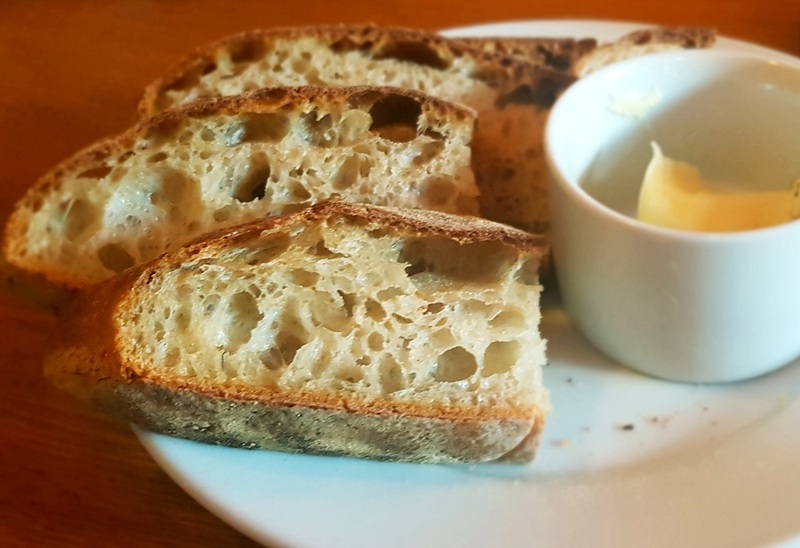 It was enjoyable enough – Claude Bosi certainly knows how to knock up a bordelaise sauce – but what really stood out was the first-rate bread, and I’m only half joking when I suggest it was the bread that bagged the restaurant its second Michelin star. It certainly wasn’t the tiramisu, which had all the subtlety of a mug of Mellow Birds. 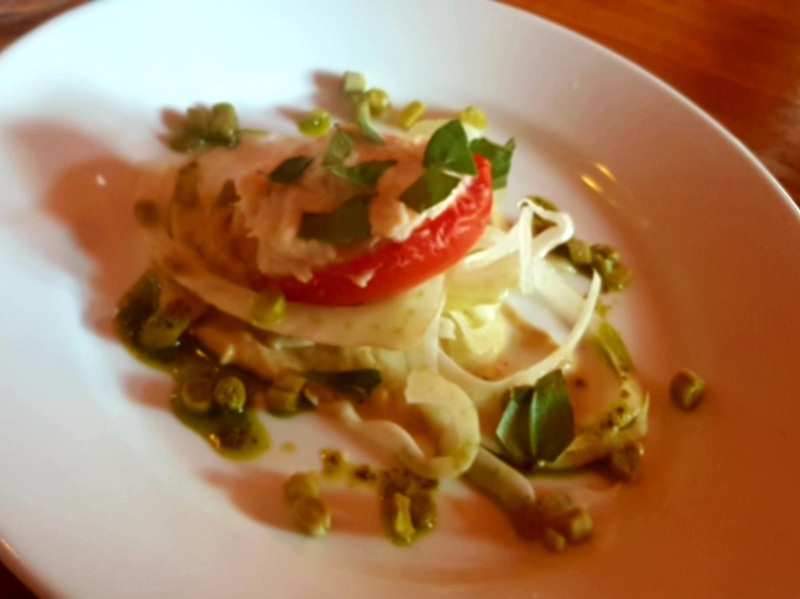 The bread here at the Swine that Dines, however, is of another level and makes the Hibiscus gear come across a bit like a stale loaf of Mighty White. This stuff – sourced in from Roops – has more stretch and bounce than a bums and tums class in its chewy, ivory crumb, and the indelible whiff of hot oven in its blackened crust. Stunning. We use it tonight to mop and smear our way through a set of striking dishes rustled up in a compact kitchen by what appears to be one chef on his tod. Unlike some over-zealous tasting menus, these dishes manage to invoke neither inertia nor gout by the third course. This is light and lively cooking, and all the more satisfying for it. To ease us in there are ribbons of crunchy (and curried?) 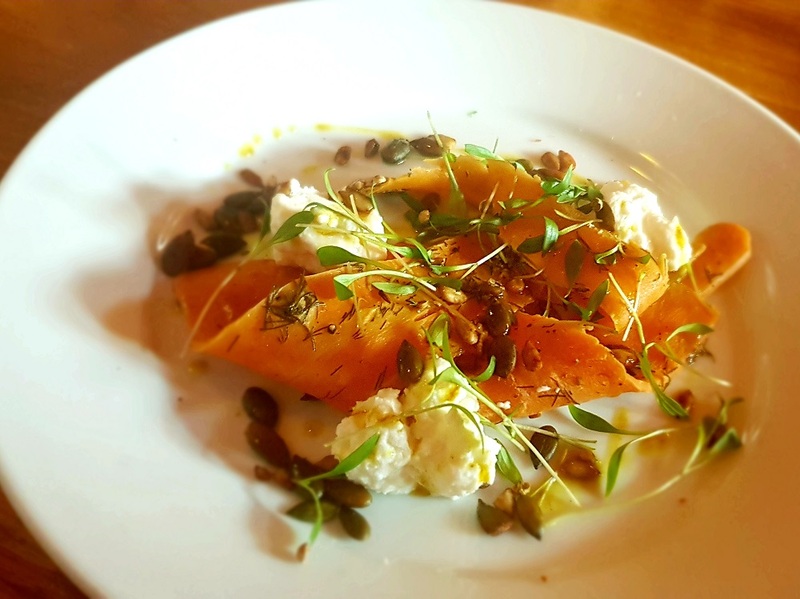 carrot with creamy ricotta; and confit tomato – for which it’d be remiss of me not to reference ‘the smell of summer’ – with the bright zip and crunch of fennel. Anything with a nod towards the chippy is instantly agreeable to me, so a fistful of butterbeans that have been lightly coated in batter and fried until redolent, joyfully, of a bag of softened scraps get top marks. Even better when they’re swooshed through a pistachio sauce that has the nice clag of mushy peas but is undeniably more refined. 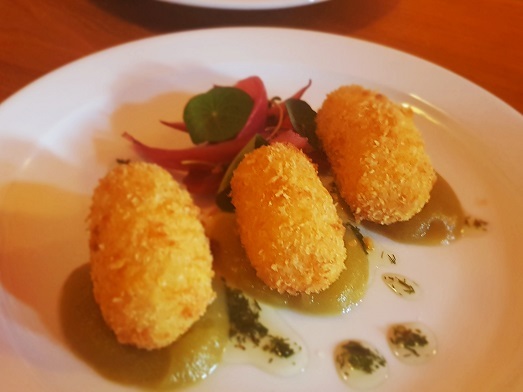 It’s less than 25 quid a head for a generous seven sharing courses, so if you’re going to stick ‘croquettes’ on the specials as an extra I’m not going to turn a blind eye, especially if, like these, you’ve loaded them with cheese. The mellow Pont L’eveque oozes, the breadcrumbs crunch, and the apple sauce – an unexpected but nifty addition – adds sweetness. Almost a deep fried ploughmans, this. 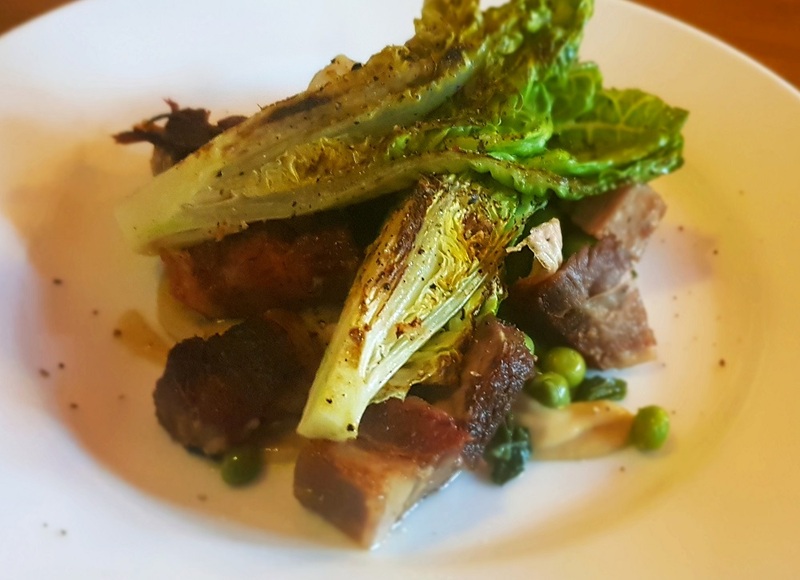 We shift through the gears, and countries, with cubes of cured lamb; crisp but melty and seasoned with a knowing hand, that come with the verdant one-two of charred gem lettuce and peas. 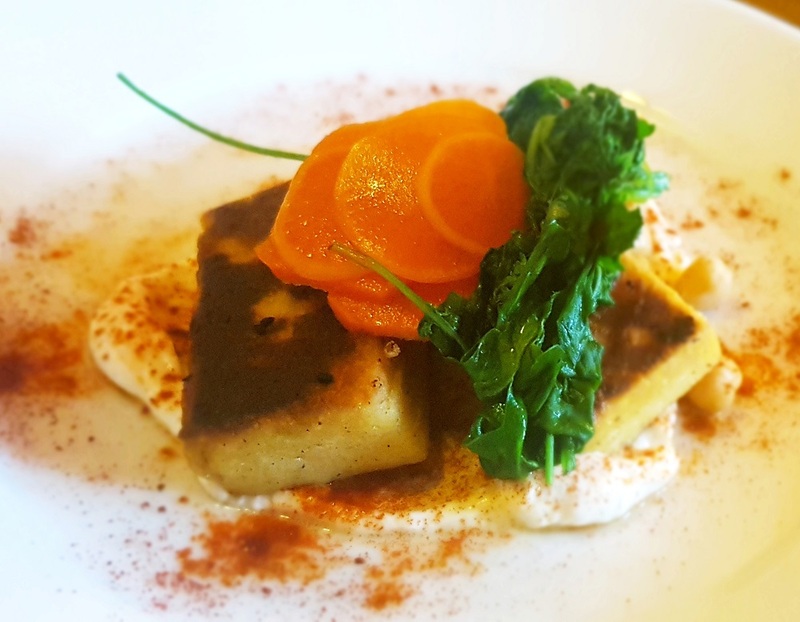 From France to the Middle East and a chickpea panisse thing that, if I’m being picky, could be a bit crispier but does deliver some proper punch with its fiery saffron vinaigrette. 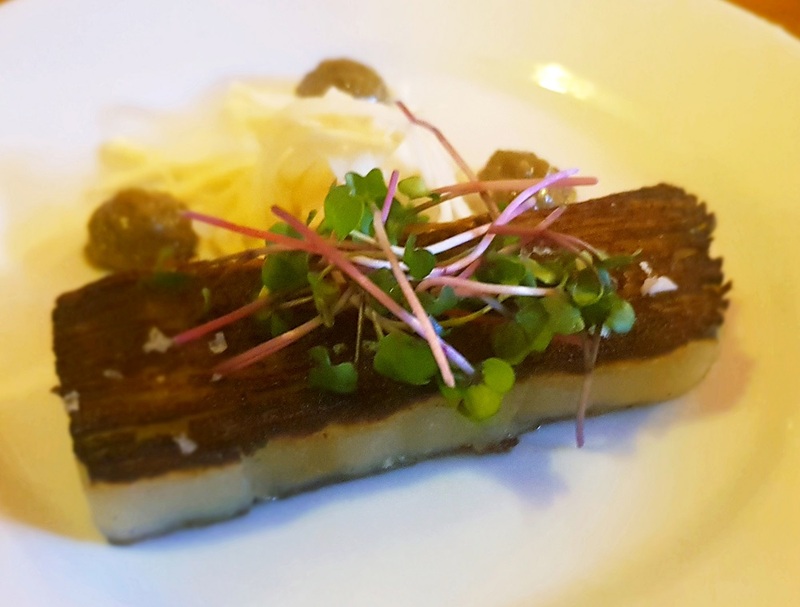 A laser-accurate slab of uniformly layered potato has the homely aroma of hot chip (food not band) and comes with a well-done celeriac remoulade for crunch and cream. During the end-game I’m taken by the spare simplicity of some of the finest pig I’ve ever eaten. Here’s a generously-lubricated, perfectly-crackled wodge of belly pork that’s unsullied by frivolities such as a sauce. This is how it is, says chef, and this is ace, says me. I swerve the accompanying lentils, of course. You should have dessert here. They’re meant to be good. But for me it’s a final slice of bread, adorned in butter. One for the road. There’s a convivial homeliness about The Swine That Dines, almost as if the place started life as a properly-done greasy spoon breakfast spot [it did], and this visit appears to be full of regulars. My previous appearance was for a 4 quid burger about three years ago. It was, of course, superb. 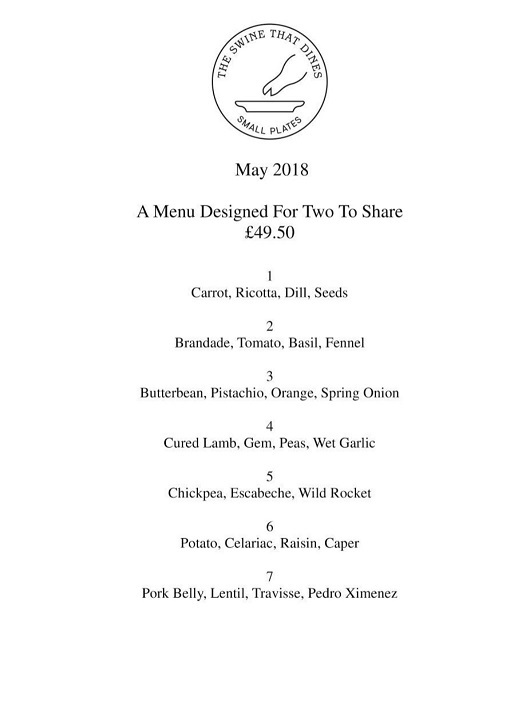 What really stands out, beyond some cracking scran, is the easy-goingness of it all, and I hope that Jo and Stu don’t gussy the food or service up too much as The Swine That Dines evolves. 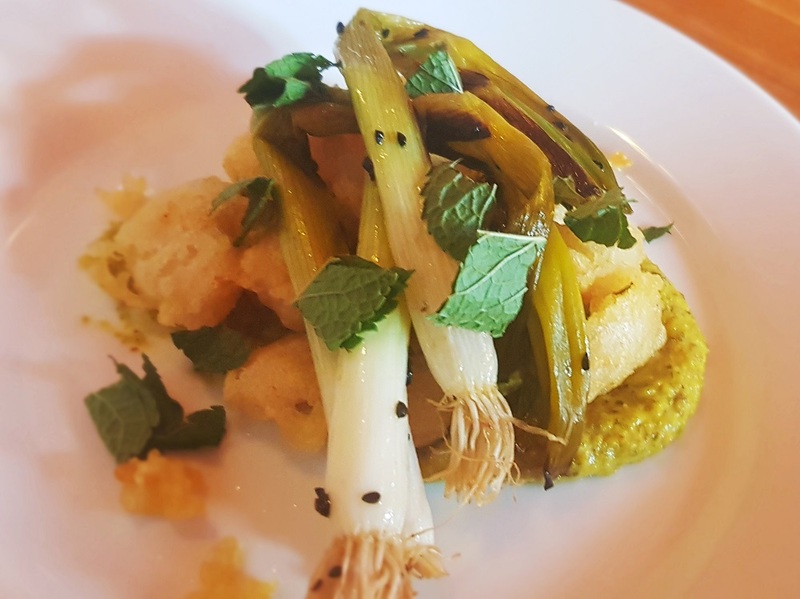 It’s satisfying without being strenuous, serious without being shouty and a top spot for restaurant nerds and newcomers alike. Drinks: Currently BYOB. The Reliance a few doors down will sort you out. The Swine that Dines website. The Swine That Dines on Twitter. Roops and his bready stuff on Facebook.